Have a break snack in Japanese style! 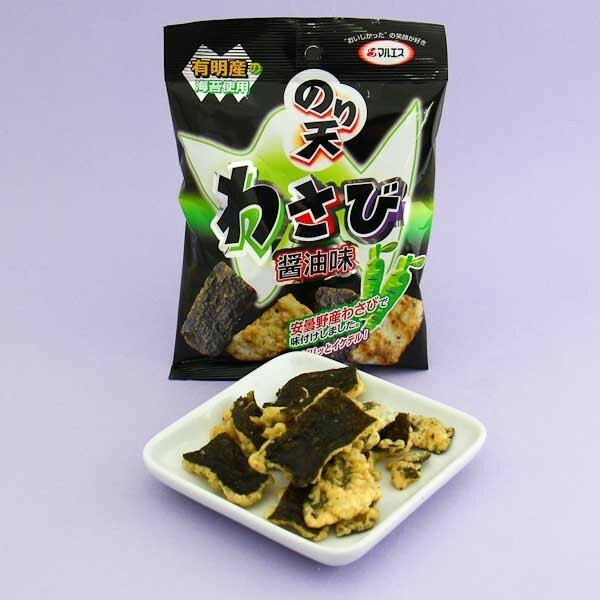 These fried seaweed chips are flavored with spicy wasabi to give that extra kick to your day. 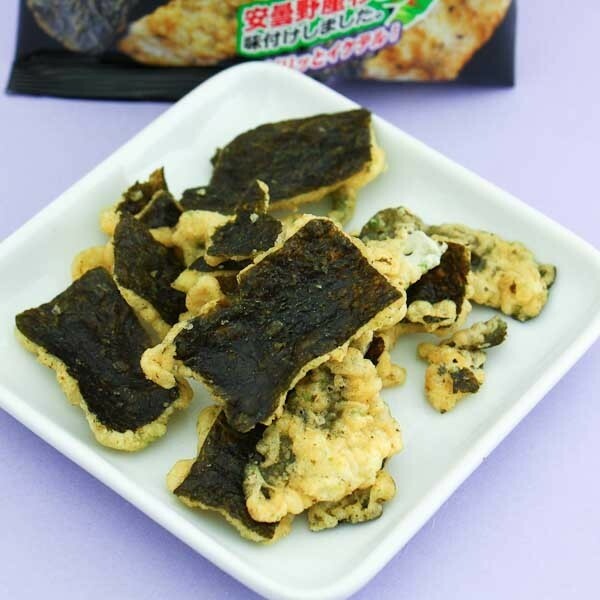 The crunchy texture and seaweed base are something that you will not find from any traditional western snacks. The perfect treat for all wasabi lovers!